PrinterStop is where to sell used printers and sell used HP plotters. 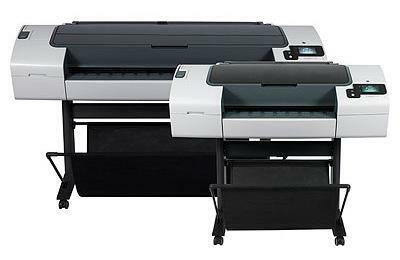 We purchase HP DesignJet plotters, buy HP Designjet plotters and off lease Designjet plotters. We buy used HP plotters and purchase surplus HP Designjet supplies and plotters. Where is the plotter located? Which model plotter do you have available? Do you have the ability to securely prepare the plotter for shipment and/or palletize it? Do you have a loading dock for pickup? All models and makes of used hp inkjet plotters are needed. PrinterStop is the place to sell used printers, wide format color laser printers. Sell used designjet plotters and sell used second hand plotters at the best plotter prices. We looking for all wide format color laser printers, wide format printer for sale and used large format printers for sale.